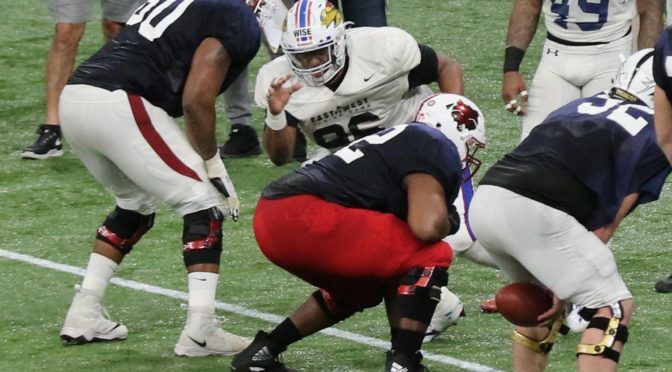 DraftNasty's Corey Chavous sat down with former Kansas Jayhawks star defensive lineman Daniel Wise for a Q&A during the week of the 2019 East-West Shrine game to talk about the Wise last name, family lineage and what it meant to be a Jayhawk. Corey: What about this week (2019 East-West Shrine Game) and what it represents for you and the Kansas program? Wise: It's huge for me to be able to just represent the University of Kansas. Throughout everything I'm doing at the Shrine hospital, on the field, having that Jayhawk on my helmet means a lot to me. Corey: I know the team success wasn't what you may have hoped for during your career but individually you've been very productive the last three seasons. When you think about how you've been able to work the edges of guards and tackles by being slippery. Talk about your technique and what has allowed you to become that type of player. Wise: My work ethic, my routine in the summer, my workouts, guys I train with, my teammates. Picking up things from them (teammates) and picking up things from my coaches. My dad (former NFL player Deatrich Wise, Sr.), my No. 1 coach, and my older brother (New England Patriots DL Deatrich, Jr.). Always being around football and always watching football. Daniel's older brother, Deatrich, Jr. (No. 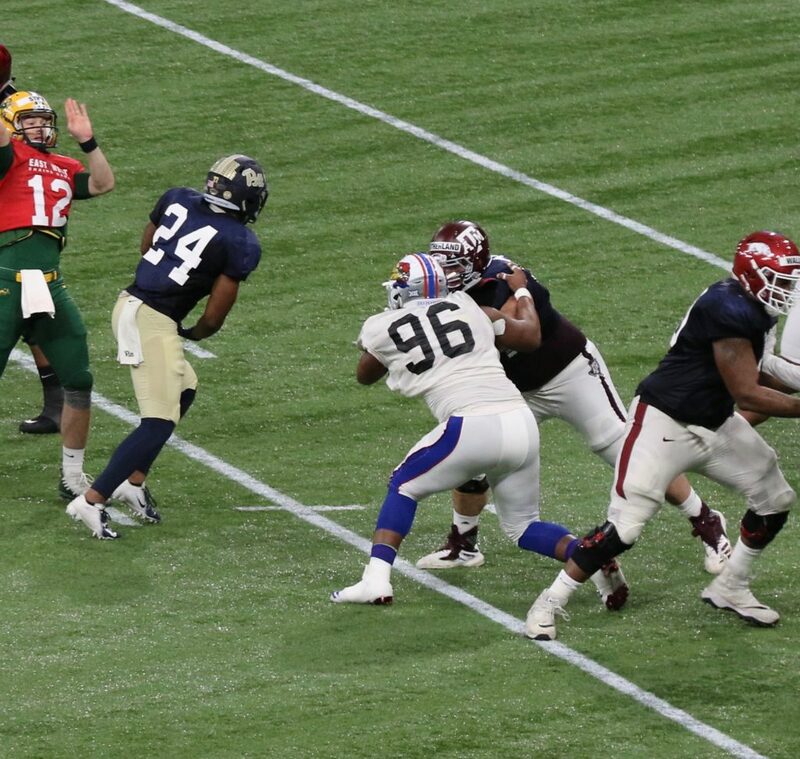 99 pictured), was a participant in the 2017 East-West Shrine Game and has since gone on to post 9.5 quarterback sacks in two seasons with the New England Patriots. Corey: We actually spent time with your brother here at the East-West Shrine game a couple of years ago. What has his success meant for you in continuing on that family lineage? Wise: It's huge for me to be able to follow his footsteps at the East-West Shrine game and hopefully one day maybe with him or wherever I go. But to be able to enter the league with him, it's been a journey. Corey: What type of scheme do you think you fit best in? You've been a four-technique, five-technique and three-technique. You can line up in the reduced front over the center. What do you think is your best position to start at? Wise: Just the experience that I got playing at the University of Kansas in a 4-3 and 3-4, playing all up and down the line. It has given me a lot of experience on the line. Can play just about anywhere on the line confidently. But I think I earn my best money at the three-technique. Former Kansas defensive lineman Daniel Wise (No. 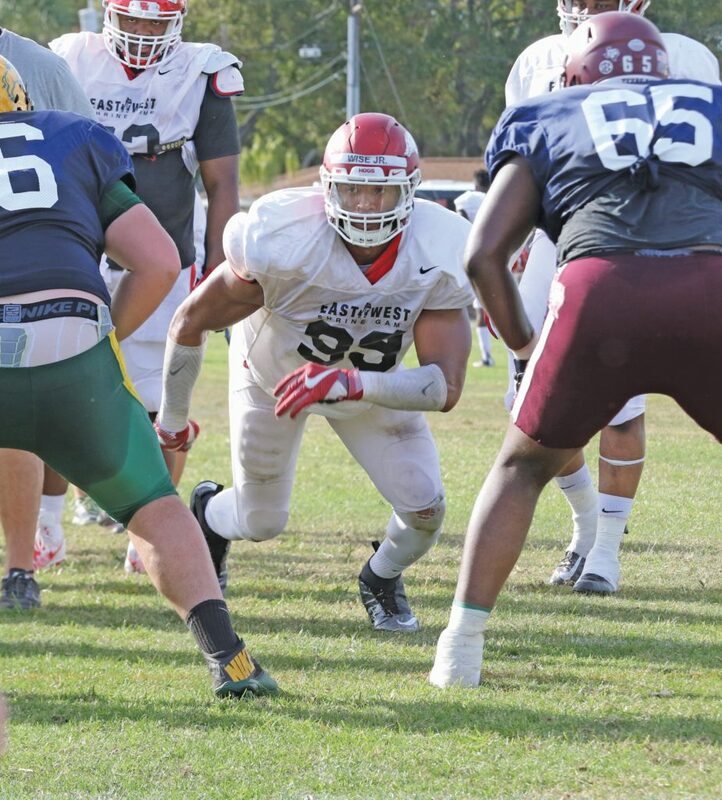 96 pictured) posted 151 tackles, 18.5 quarterback sacks, 44 tackles for loss (2nd in school history) and blocked three kicks during his time as a Jayhawk. Corey: It's funny, when your brother was coming out, we asked him the exact same question. Because at Arkansas he was playing up-and-down the defensive front. Wise: Yes sir, yes sir. That's right. Corey: So I guess the family lineage spreads to positional versatility. Toughest opponent in school? Wise: My toughest opponent in school I'd say would have to go to No. 55 at West Virginia. Wise: Yeah...Cajuste. He was a good athlete. His ability to adjust. His hands and his feet. He was a nice athlete, nice guy to go against. Corey: If an NFL scout wanted your best game of your career what would it be? I know one game I watched two years ago against Texas (2016)...in Kansas. Wise: Yeah, when we beat 'em. I feel like that's one of my best games. Yes sir. Corey: Give me another one. Wise: Texas again this year. The West Virginia game (2018). The West Virginia game is kind of what sparked the season for me. Corey: Best of luck. Enjoyed watching you play and good luck in the NFL.